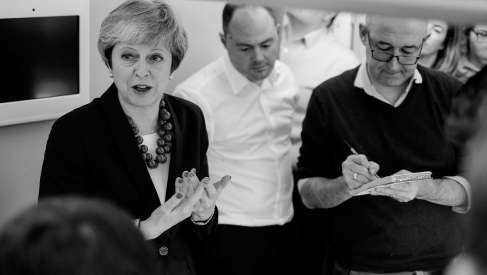 Analysts say market perceptions towards the UK economy could begin to shift in a positive direction soon, and this can only benefit Pound Sterling. The Pound is set for a period of outperformance as focus turns back to the economy and the Bank of England, which could raise interest rates at a more aggressive pace over coming months than markets are currently expecting. Sterling is seen performing strongly against both the Euro and Dollar in 2018, according to strategists at global investment bank TD Securities, who have upgraded their forecasts for the Pound in a research note published at the start of the new month. The forecasts come as the Pound sits broadly unchanged against the Euro in 2018, after having reversed almost all of the 2.5% gain made in January, which has left it gyrating around 1.13 and still inside a six-month long sideways trend. It has fared even worse against the Dollar after February saw it hand back earlier profits by the bucketload, with the Pound-to-Dollar rate falling from a 5.6% gain in early February to a 1.64% gain by March 01. 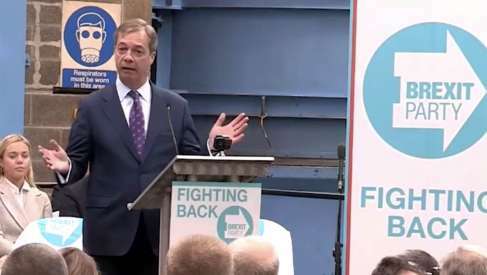 Sterling has traded with a soggy tone of late, with concerns over the trajectory of the Brexit negotiations once again stalking the currency market. But, this moribund performance prevails against the backdrop of a Bank of England that warned in February it will raise interest rates faster than many expect if the UK inflation outlook evolves in line with its latest set of forecasts. Investors might soon start taking note of this dynamic, which would be supportive of Sterling, according to TD Securities. “While the most recent UK data points have largely disappointed to the downside, overall the trend has been strong enough so that the BoE seems likely to vote for a 25bps rate hike in May, in line with our long standing view,” says Jacqui Douglas, chief European macro strategist at TD Securities. This is up from the 20% implied probability of December 29, 2017 but a long way off of the 0.75% that would prevail if a May rate rise were a given, suggesting investors either have a very benign view of UK inflation prospects or are still unwilling to take the BoE at its word. One explanation for market scepticism on whether the BoE could really raise rates again might be because the economy has lost some momentum in recent months. Surveys of all three of the UK’s key economic sectors pointed to a slowdown in January. Then an Office for National Statistics report released on February 22 showed the UK economy grew slower than was previously thought during the final quarter of 2017, while the February labour market report showed the first uptick in the unemployment rate registered its first rise since 2015. Yet, the fourth quarter growth performance is still in line with the BoE’s forecasts and the unemployment rate uptick was more the result of a rise in the participation rate rather than any severe surge in joblessness. “Crucially, wage growth has improved and could hit 3% y/y ahead of the May meeting, while the diminishing impact of FX pass-through on CPI should push real wage growth back into positive territory,” Douglas adds. The BoE’s 'hawkishness' on rates comes as part of an effort to combat inflation, which rose above 3% in response to the double digit post-referendum devaluation of Sterling and has remained at 3% in 2018. Economists now expect currency-induced inflation to fade, given the Pound is no longer falling, although there are signs an anticipated pickup in wage growth could raise the hackles on the BoE’s proverbial neck even more. 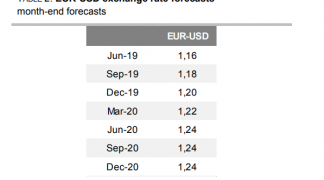 Douglas and the TD Securities team forecast the Pound-to-Euro exchange rate will rise to 1.1497 by the end of March and 1.1627 by the end of June. But there is a fly in the ointment - the exchange rate is forecast to pull back to 1.1366 in time for year-end. 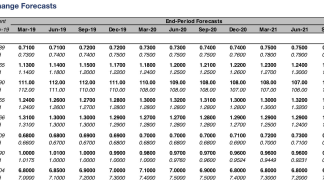 Nevertheless, all of these projections represent substantial upgrades from TD Securities’ earlier respective forecasts of 1.1080, 1.1147 and 1.0629, which were issued in November 2017. 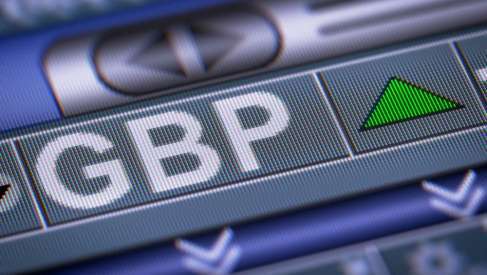 They predict the Pound will rise to 1.41 against the Dollar before the end of March and 1.452 by the end of June, before receding a touch to 1.44 in time for year end. These projections also represent substantial upgrades from TD Securities’ earlier respective forecasts of 1.33, 1.36 and 1.35. 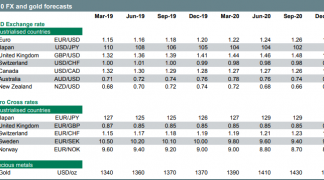 In addition, strategists at TD Securities recommended in early February a trade that sought to profit on a sharp rise in the Pound-to-Euro rate with an entry at 1.1428, placing a stop loss at 1.1080 and a target price at 1.1976. The reasons cited for the trade were broadly similar to those given for Thursday’s bullish FX forecasts - the Bank of England's policy train is going Sterling's way. The upgrade to forecasts at TD Securities come as we report analysts at Italy's UniCredit are telling clients Sterling can deliver gains of up to 9% against the Dollar over coming months, but its bad news for those hoping for a stronger Pound with which to buy Euros. 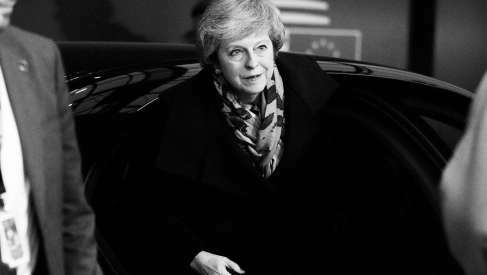 UniCredit look find out whether the Pound offers any value to investors as markets are once again confronted by predictably tenuous Brexit negotiations once more. Roberto Mialich, an FX Strategist with UniCredit Bank in Milan has sought to answer the question of whether "there is life - i.e. value - in Sterling" and his findings confirm the outlook for the currency remains as complicated as ever. The findings of Mialich's research show that, "yes, there is life in GBP/USD, but only because the USD is set to weaken further" while he "does not see – at least for now – much life in EUR/GBP". UniCredit are "not big supporters of Sterling right now," citing British economic growth that is likely to remain the lowest in the G7 also this year, while the Bank of England's decisions on interest rates are also unlikely to offer a boost to the currency. And, most importantly, "Brexit talks represent a brake for any sustained Sterling." "A weaker USD ahead, as we expect, can lift Sterling and we stick to our forecast at 1.50 for GBP/USD by year-end," says Mialich, "but we doubt that Sterling will outperform most major FX, while we expect it to struggle against the euro." The EUR/GBP exchange rate is, on the other hand, almost purely being driven by the perceived risks surrounding Brexit, and understandably there is too much uncertainty surrounding negotiations to prompt a Sterling-favourable outcome. UniCredit are forecasting the Pound-to-Euro exchange rate to be around 1.11 by end-2018.